Educational institutions are increasingly collecting and analyzing data about their students and their learning-related activities, with the goal of “understanding and optimizing learning and the environments in which learning occurs” (SoLAR). Typical objectives of learning analytics projects are enhancement of course/learning design, identification of learners who require support, or provision of more personalized learning experiences. One active area of learning analytics research is analysis of learner engagement patterns in course-based online discussions with peers. 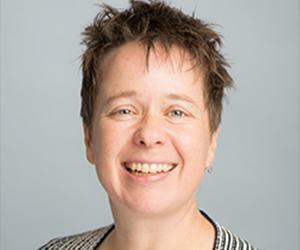 Dr. Leah Macfadyen will share examples of exploratory network analyses of learner discussions undertaken at UBC, and will engage participants in discussion of this approach to evaluating learner engagement. Vivian Forssman will provide insight into the corresponding need for careful oversight and planning of institutional learning analytics projects: what is needed to allow effective and meaningful interventions with students, and careful consideration of some of the legal and ethical issues that learning analytics may raise.